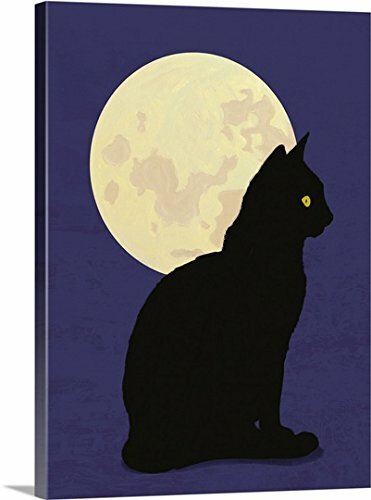 Gallery-Wrapped Canvas entitled 'Black cat and moon graphic hand painted illustration'. Multiple sizes available. Primary colors within this image include: Peach, Black. Made in the USA. Satisfaction guaranteed. Archival-quality UV-resistant inks. Canvases are stretched across a 1.5 inch thick wooden frame with easy-to-mount hanging hardware. Canvas is acid-free and 20 millimeters thick.